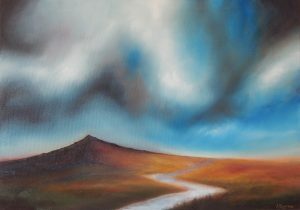 Working in oils his paintings concentrate on capturing the atmosphere of the location. 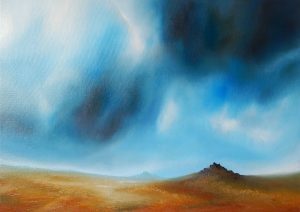 He takes great interest in painting Dartmoor and the surrounding landscape of Devon. 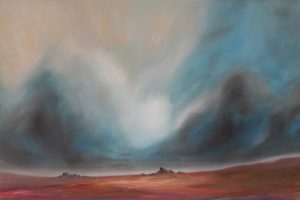 His work explores the way texture and light can be manipulated to achieve a greater sense of depth, atmosphere and perspective. 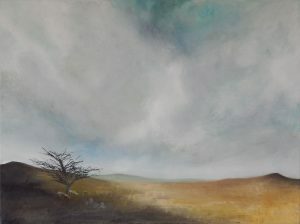 His aim is to create an expression of the landscape which can sometimes lead to his paintings becoming a suggestion or feeling of the scene.